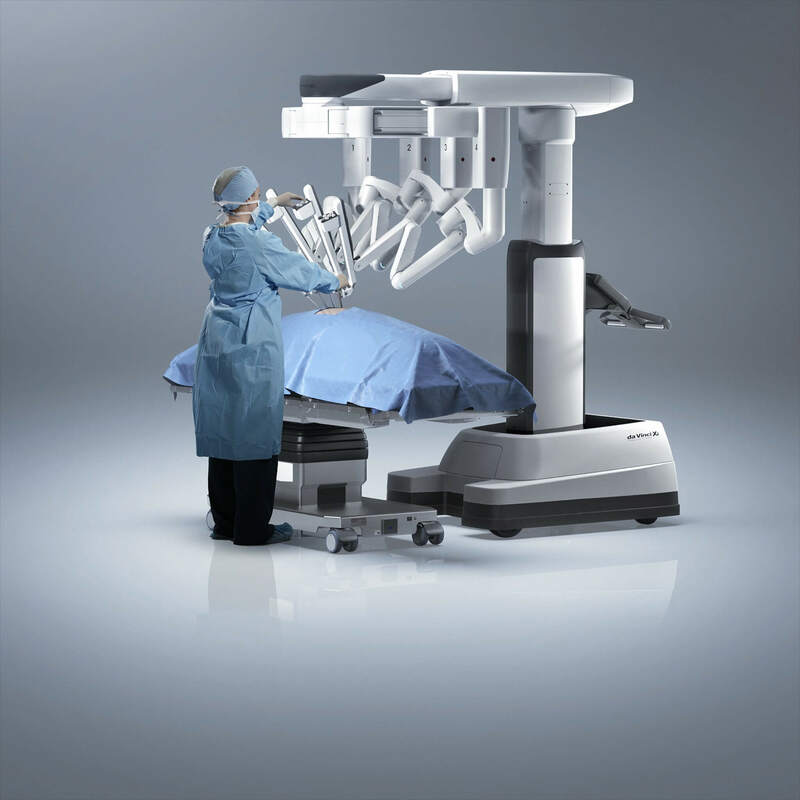 The da Vinci Xi® Surgical System offers revolutionary anatomical access, crystal clear 3DHD vision, and a platform that supports da Vinci Xi technologies. 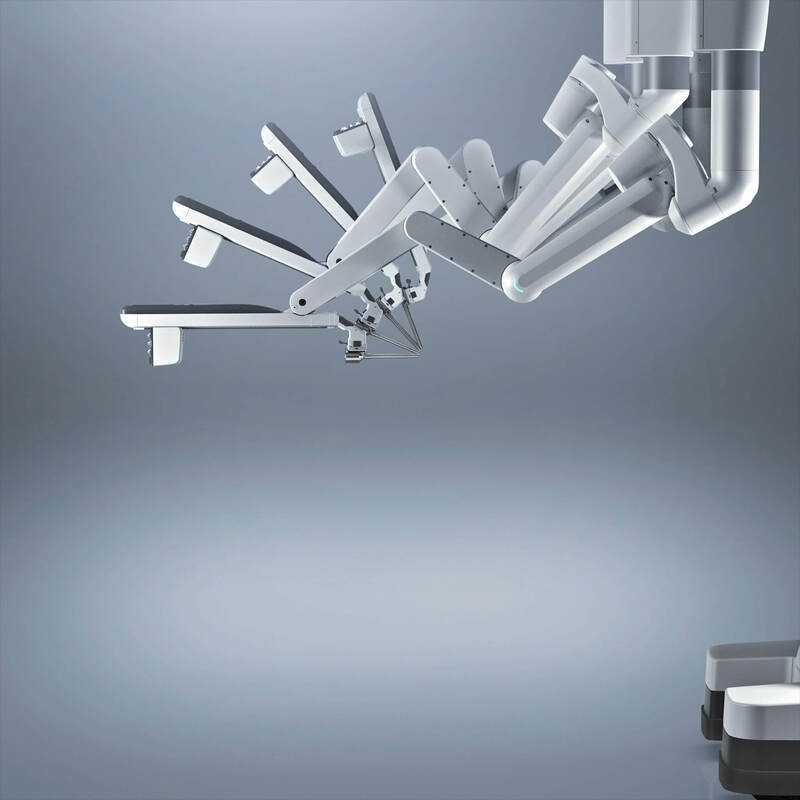 At Intuitive Surgical, we're working to make minimally invasive surgery the standard-of-care in the modern day operating room. The da Vinci Xi® System combines the functionality of a boom-mounted system with the flexibility of a mobile platform. This hybrid architecture enables placement of the surgical cart at any position around the patient while allowing four-quadrant anatomical access. Features like a guided walkthrough and voice assistance facilitate quick and precise setup. 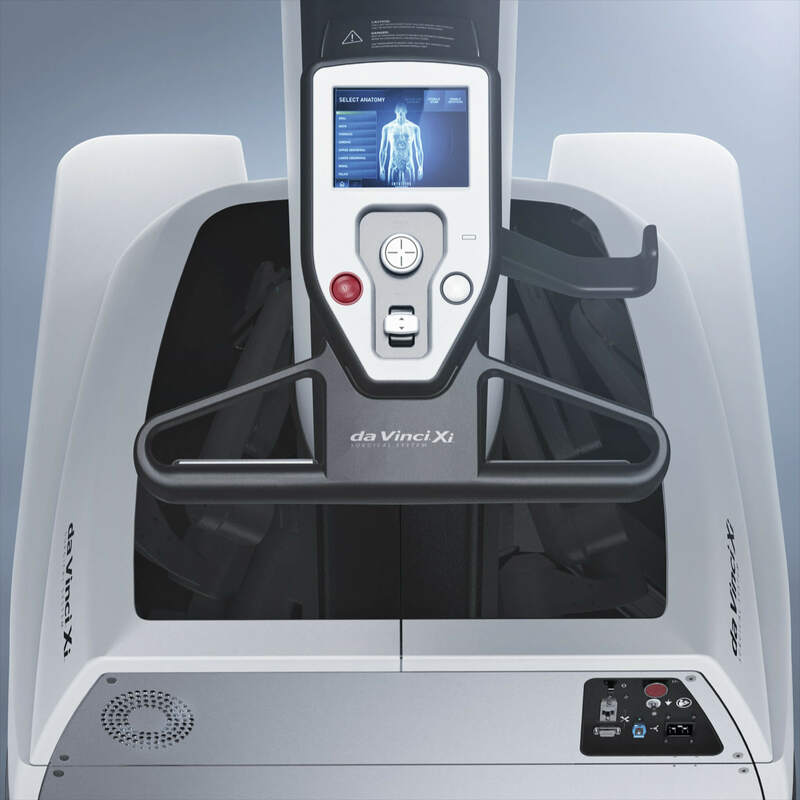 A laser targeting system takes the guesswork out of positioning the patient cart. Once the scope is attached, simply point it at the target anatomy and the system will position the boom in an optimized configuration for the procedure. 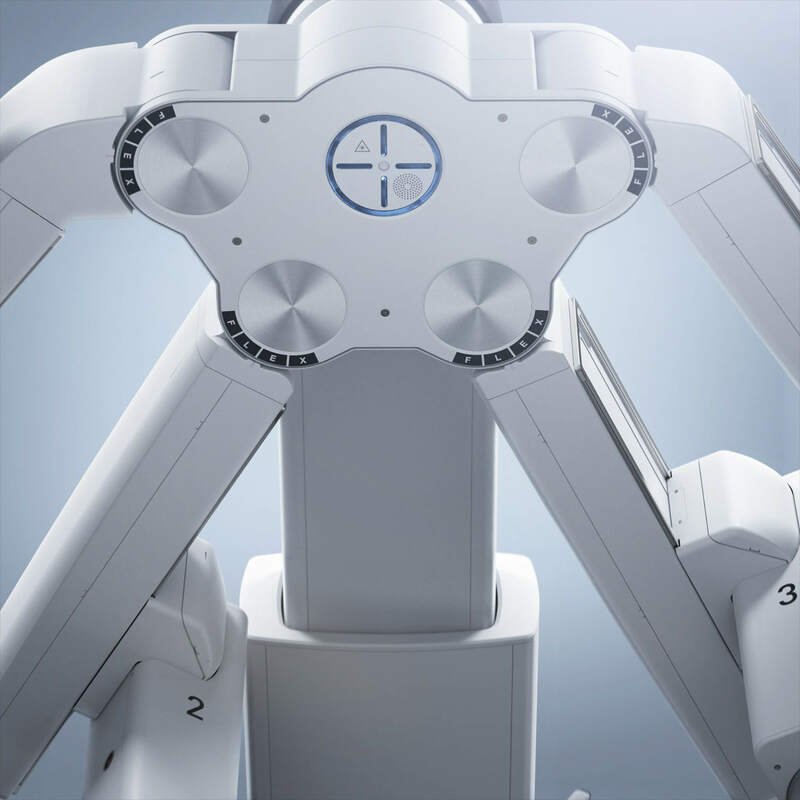 Integrated Table Motion enables the da Vinci Xi® Surgical System to connect to Trumpf Medical's TruSystem 7000dV Operating Table so that a patient can be dynamically positioned while the surgeon operates. Serious complications may occur in any surgery, including da Vinci® Surgery, up to and including death. Examples of serious or life-threatening complications, which may require prolonged and/or unexpected hospitalization and/or reoperation, include but are not limited to one or more of the following: injury to tissues/organs, bleeding, infection and internal scarring that can cause long-lasting dysfunction/pain. Individual surgical results may vary. 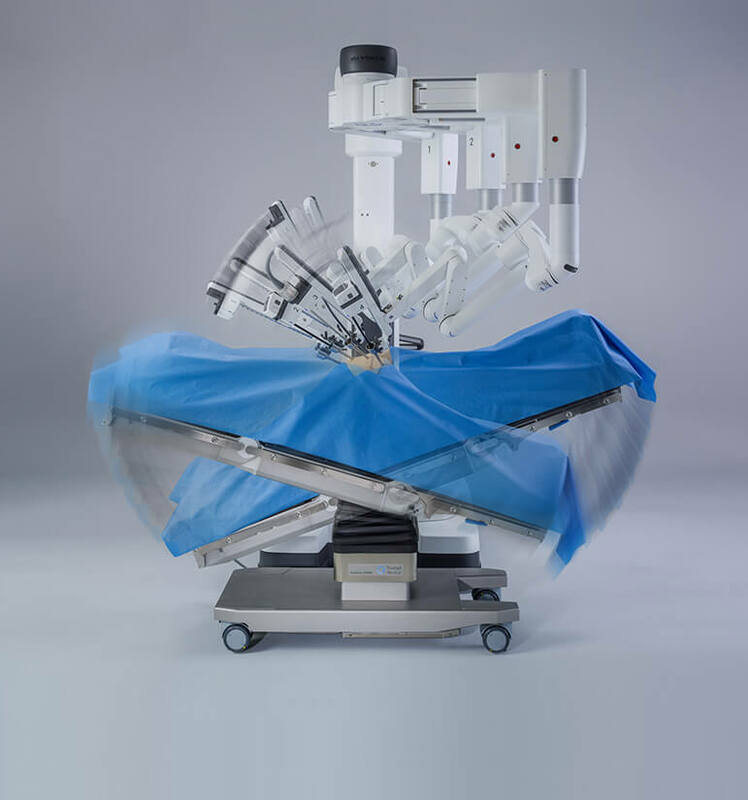 Risks specific to minimally invasive surgery, including da Vinci® Surgery, include but are not limited to, one or more of the following: temporary pain/nerve injury associated with positioning; a longer operative time, the need to convert to an open approach, or the need for additional or larger incision sites. Converting the procedure could result in a longer operative time, a longer time under anesthesia, and could lead to increased complications. Contraindications applicable to the use of conventional endoscopic instruments also apply to the use of all da Vinci instruments. You should discuss your surgical experience and review these and all risks with your patients, including the potential for human error and equipment failure. Physicians should review all available information. Clinical studies are available through the National Library of Medicine at www.ncbi.nlm.nih.gov/pubmed. Be sure to read and understand all information in the applicable user manuals, including full cautions and warnings, before using da Vinci products. Failure to properly follow all instructions may lead to injury and result in improper functioning of the device. 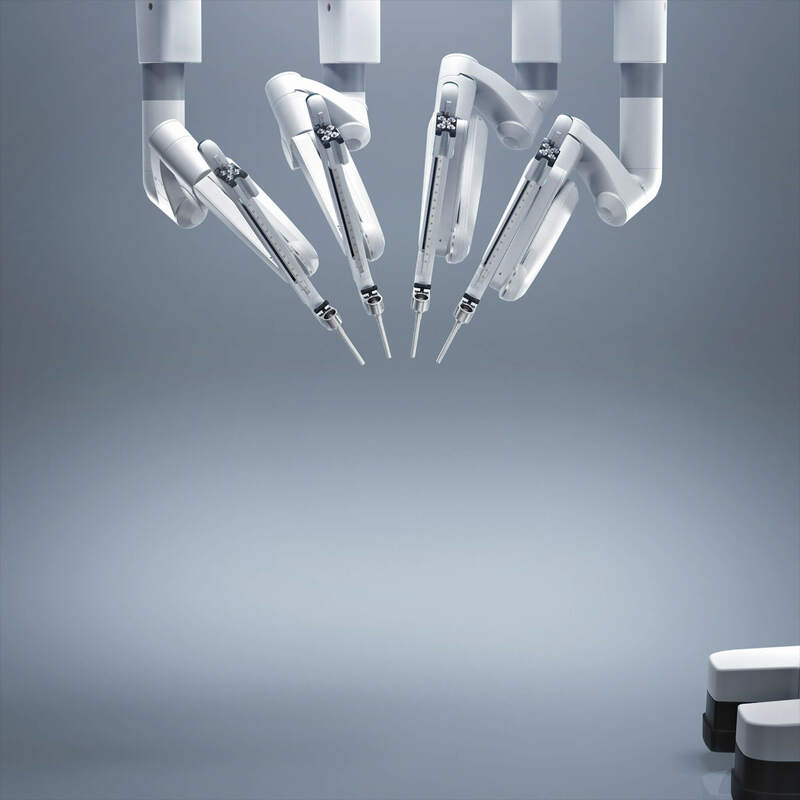 Training provided by Intuitive Surgical is limited to the use of its products and does not replace the necessary medical training and experience required to perform surgery. Procedure descriptions are developed with, reviewed and approved by independent surgeons. Other surgical techniques may be documented in publications available at the National Library of Medicine. For Important Safety Information, indications for use, risks, full cautions and warnings, please also refer to www.davincisurgery.com/safety and www.intuitivesurgical.com/safety. Unless otherwise noted, products featured are available for commercial distribution in the U.S. For availability outside the U.S., please check with your local representative or distributor. Third-party products shown interacting with the da Vinci System and its instrumentation have been validated by Intuitive for use with the da Vinci System. Validation is for compatibility only and does not imply endorsement of the product by Intuitive. It is the responsibility of the owner of the da Vinci Surgical System to properly train and supervise its personnel to ensure that the instruments and accessories are properly cleaned, disinfected and sterilized as required by the User's Manual. The da Vinci products should not be used in a clinical setting unless the institution has verified that these products are properly processed in accordance with the da Vinci System User's Manual. The EndoWrist® Stapler for the da Vinci Xi® System (IS4000) is not compatible for use with the da Vinci, da Vinci S®, or da Vinci Si® Surgical System. The EndoWrist Stapler, EndoWrist Stapler Reloads and other Stapler accessories for the da Vinci Xi System are intended to be used with the da Vinci Xi Surgical System (IS4000) for resection, transection, and/or creation of anastomoses in General, Thoracic, Gynecologic and Urologic surgery. The device can be used with staple-line or tissue-buttressing materials (natural or synthetic). Commercial clearance (U.S.) is for white, blue, and green 45 mm reloads only. The EndoWrist Stapler and EndoWrist Stapler Reloads for the da Vinci Xi System should not be used on tissue such as the liver or spleen, where tissue compressibility is such that clamping of the instrument would be destructive. Do not use the EndoWrist Stapler or EndoWrist Stapler Reloads for the da Vinci Xi System on the aorta. The EndoWrist® Vessel Sealer is a bipolar electrosurgical instrument for use with the da Vinci Xi Surgical System (IS4000) and the ERBE VIO dV electrosurgical generator. It is intended for grasping and blunt dissection of tissue and for bipolar coagulation and mechanical transection of vessels up to 7 mm in diameter and tissue bundles that fit in the jaws of the instrument. The EndoWrist Vessel Sealer has not been shown to be effective for tubal sterilization or tubal coagulation for sterilization procedures, and should not be used for these procedures. Intuitive's ICG packs are available for sale in the U.S. ONLY. Intuitive's ICG packs are cleared for commercial distribution in the U.S. for use in combination with the fluorescence-capable da Vinci Si HD vision system and Firefly® integrated hardware. Intuitive-distributed ICG contains necessary directions for use of ICG with Firefly® Fluorescence Imaging. Using generic ICG with Firefly® Fluorescence Imaging is considered off-label and is not recommended. Anaphylactic deaths have been reported following ICG injection during cardiac catheterization. Total ICG dosage should not exceed 2 mg/kg per patient. Anaphylactic or urticarial reactions have been reported in patients with or without histories of allergy to iodides. Unless otherwise noted, all people depicted are models. 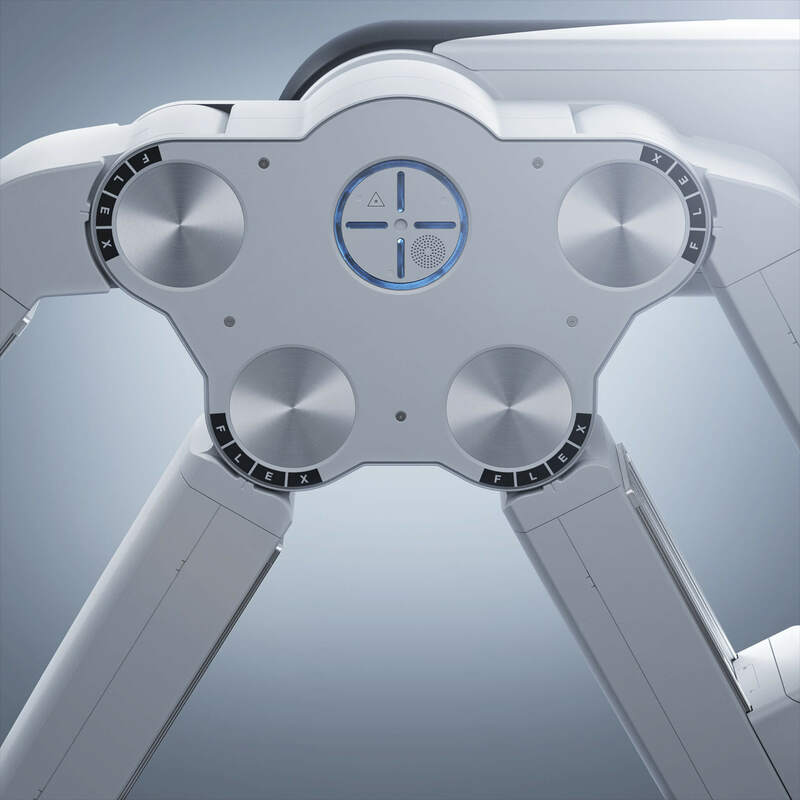 The da Vinci® Skills Simulator™ is intended to augment, not replace, existing training programs for the da Vinci® Surgical Systems.